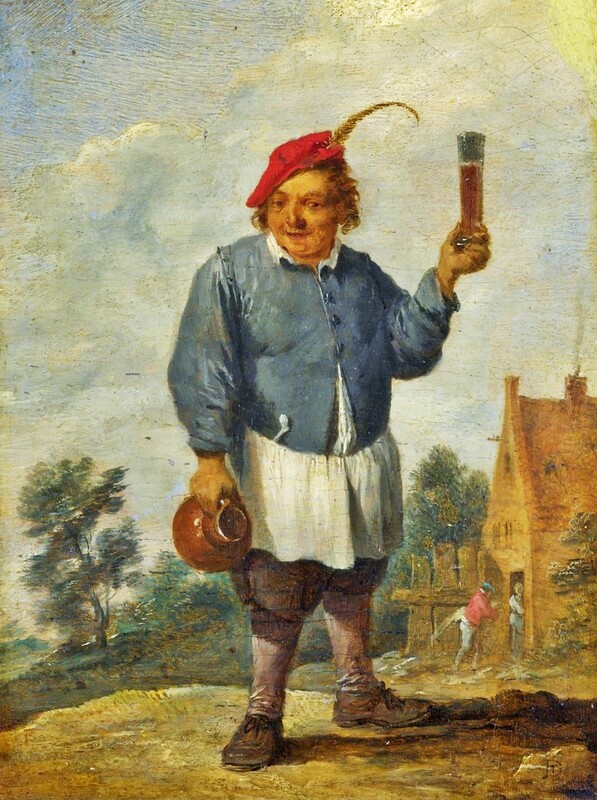 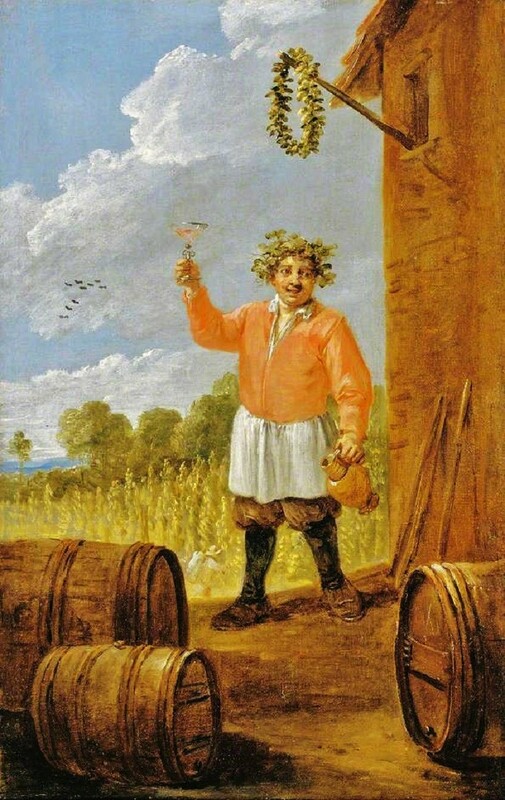 The Toper, but may be intended as a personification of Autumn, copy of Teniers's Autumn of about 1644. 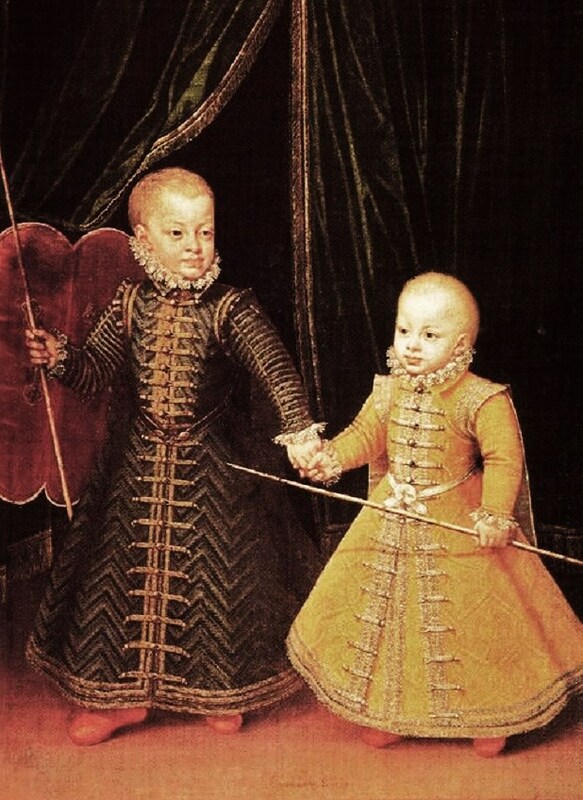 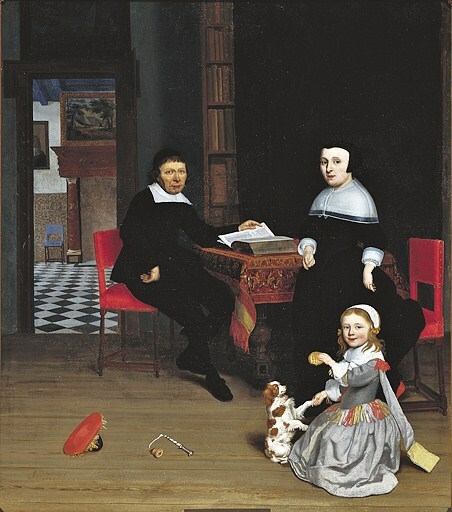 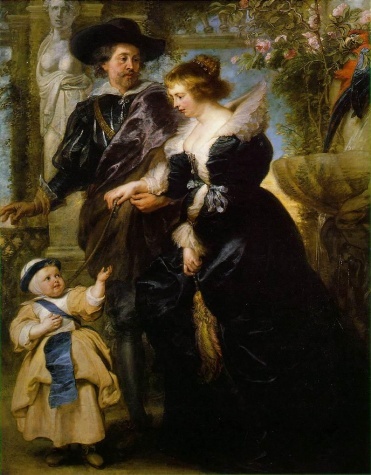 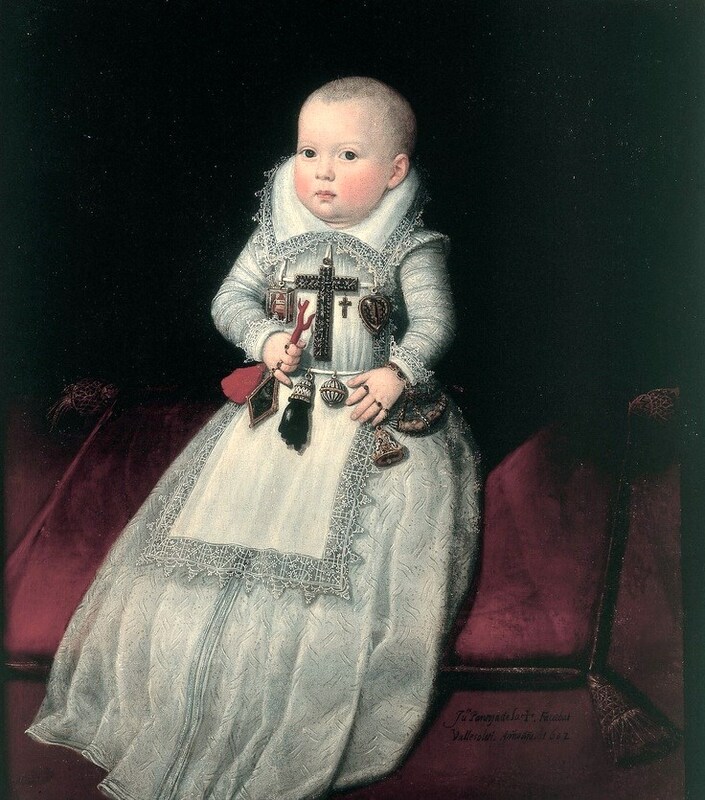 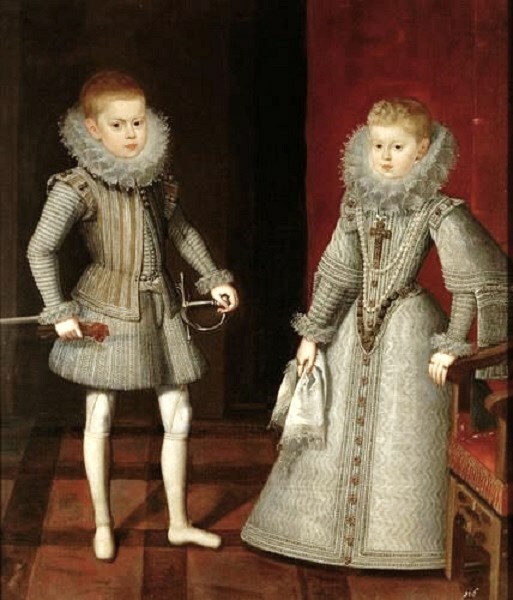 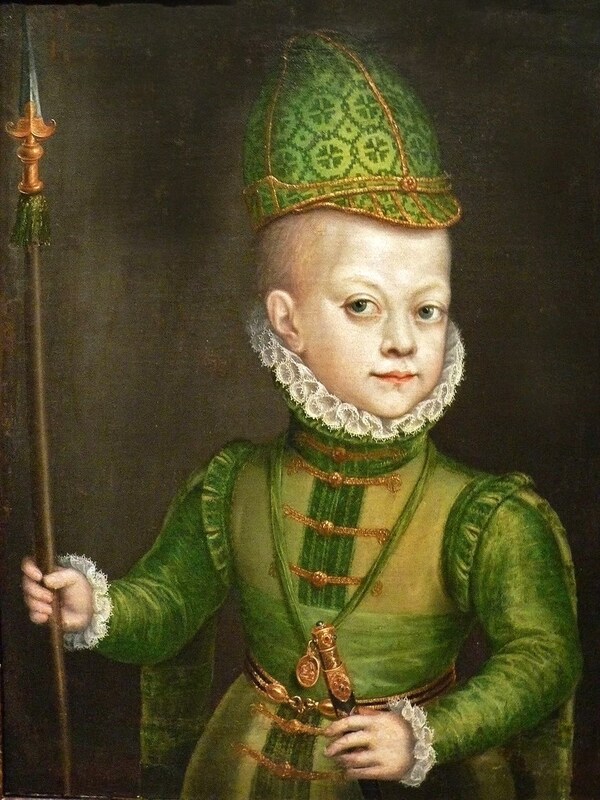 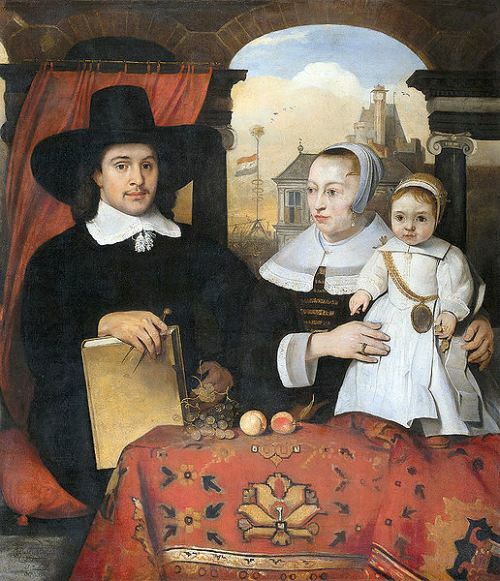 During this period, children of titled or landed nobles were dressed as miniature adults reflecting their particular social status, where children were often married or promised in marriage at very young ages to cement social, political, & economic alliances. 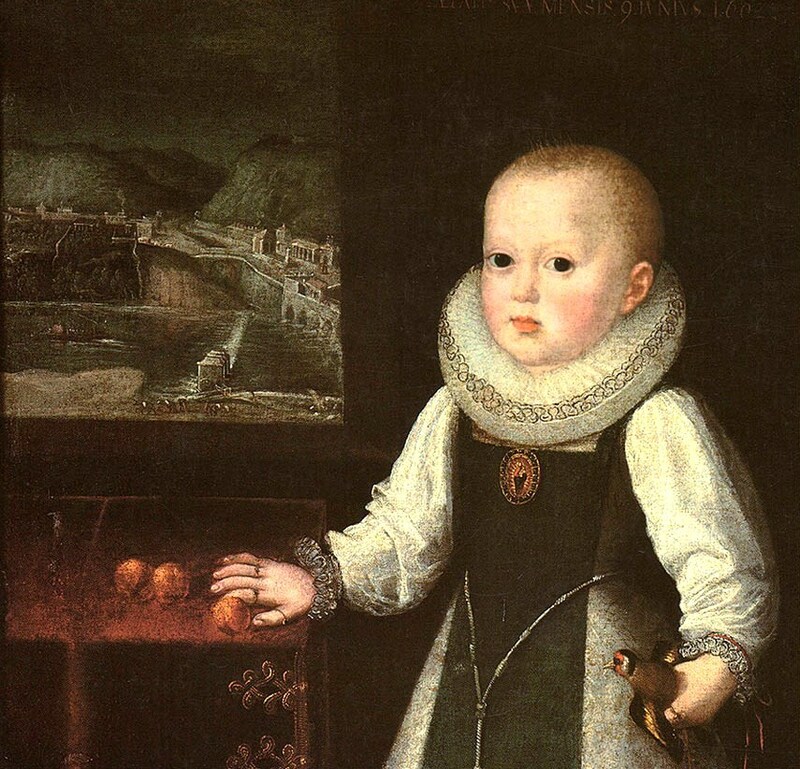 The portrait of an heir asserts their position of birth, wealth, & power of the family. 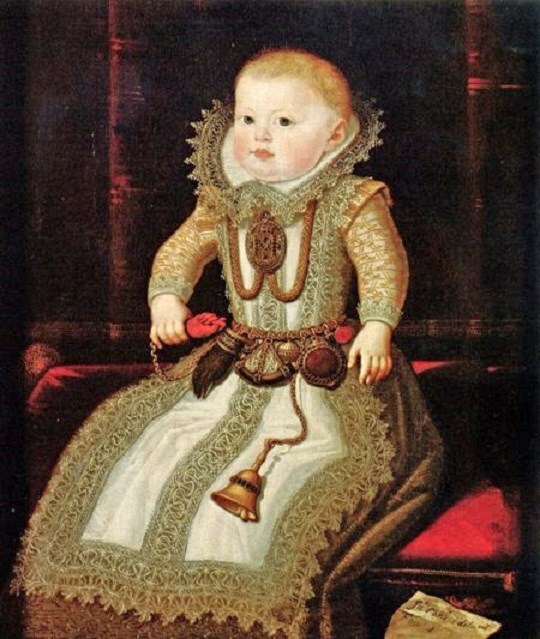 From the 16C to the 18C, sumptuary laws dictated what people of an established social status were allowed to wear, such as rich textiles, laces, jewelry, & accessories. 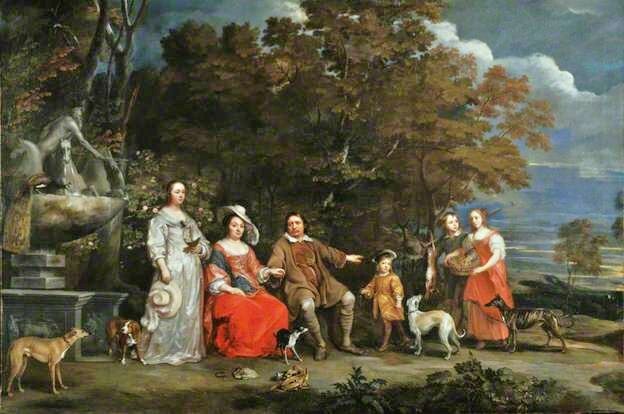 It was hoped that these laws would maintain the social order with the aristocracy at the top of the heap. 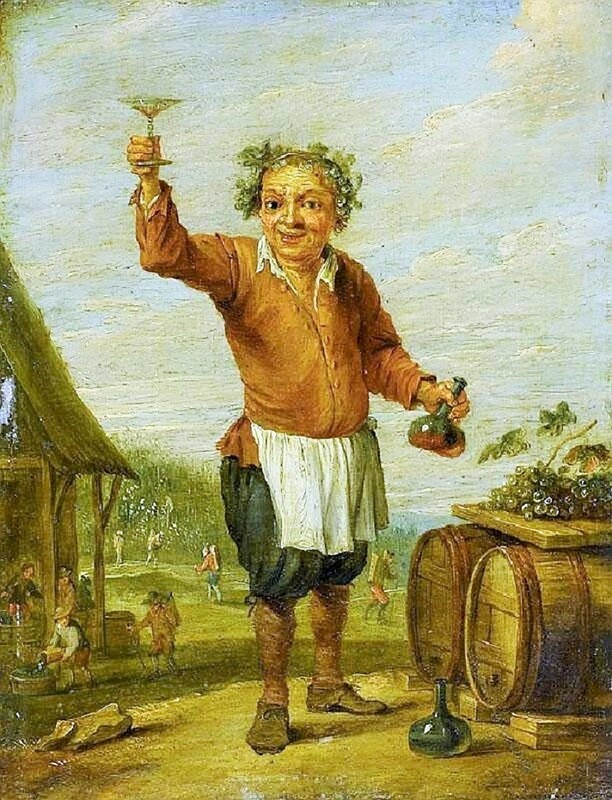 Unfortunately, or fortunately, these mandates were difficult to enforce. 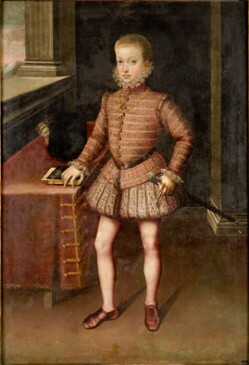 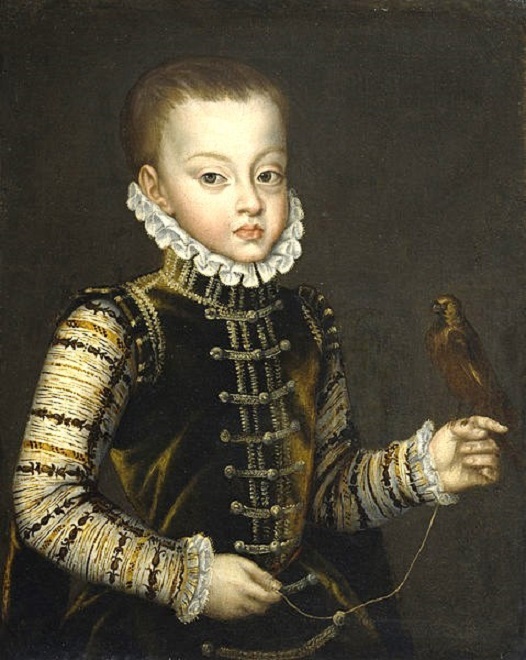 1570s Alonso Sanchez Coello (Spanish painter, ca.1531-1588) Of Austria Archduke Wenceslaus of Austria (1561-1578) He was the young Grand Prior of the Order of Malta. 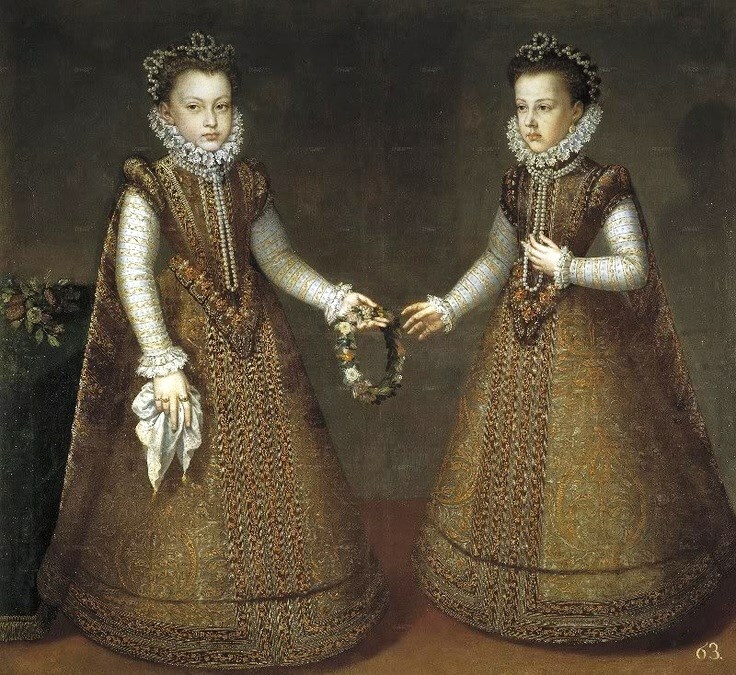 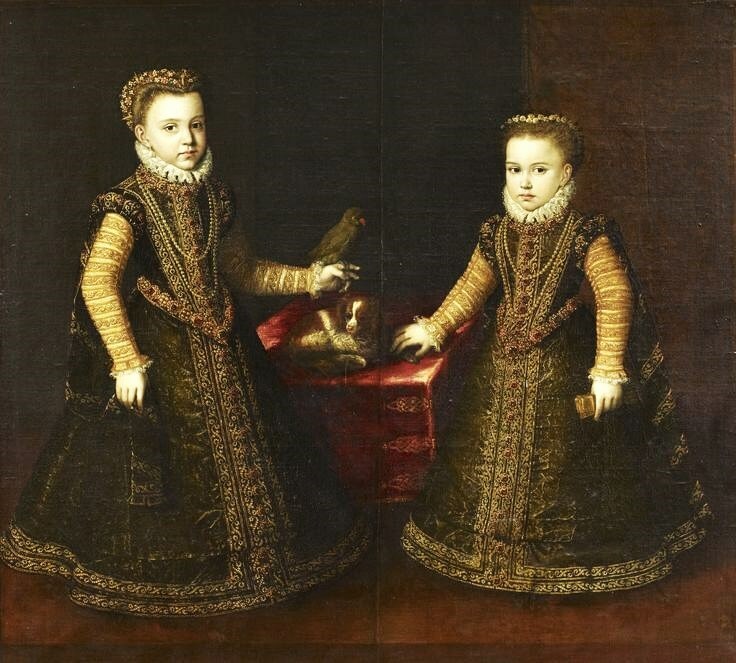 1580s Attributed to Alonso Sanchez Coello (Spanish painter, ca.1531-1588) Isabella Clara Eugenia and Catharina, Daughters of Philip II, King of Spain. 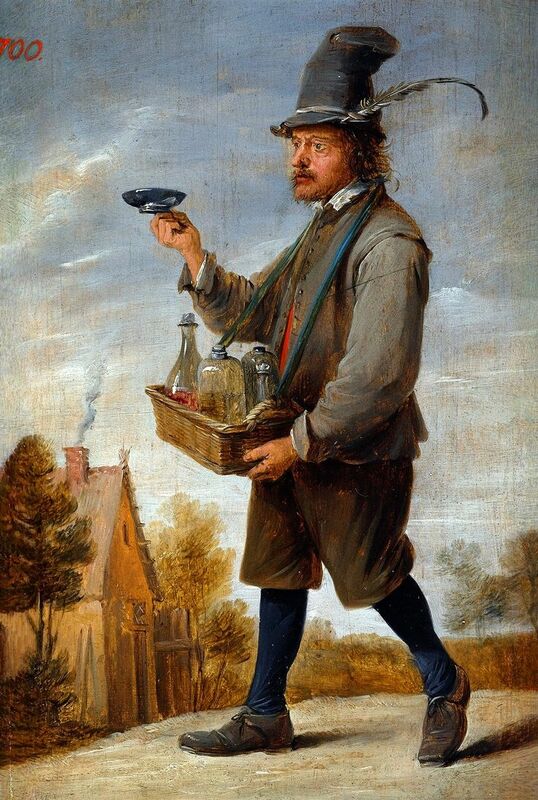 Also portrayed are a bird & dog. 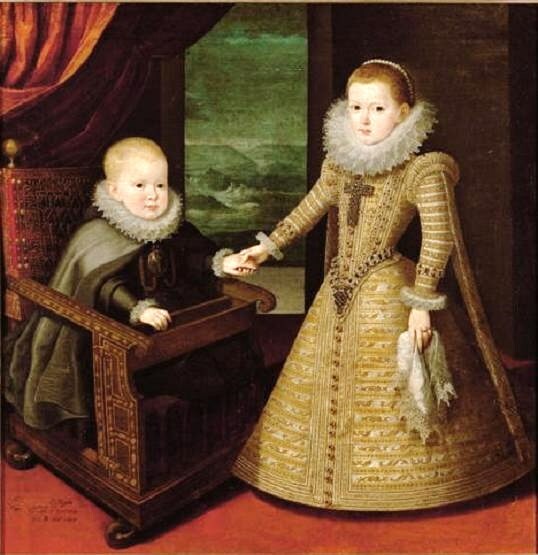 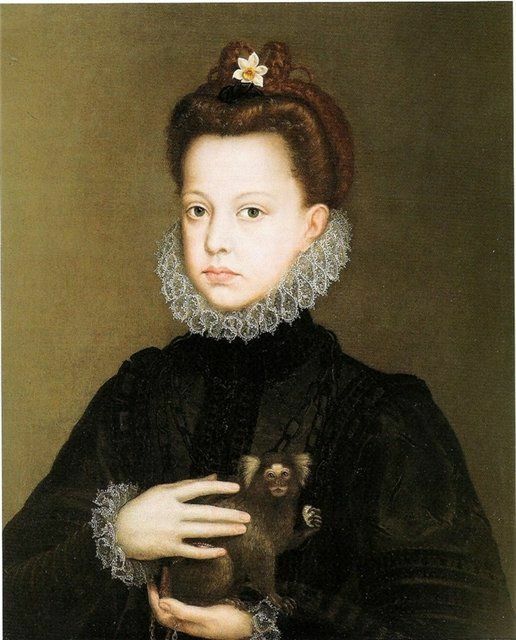 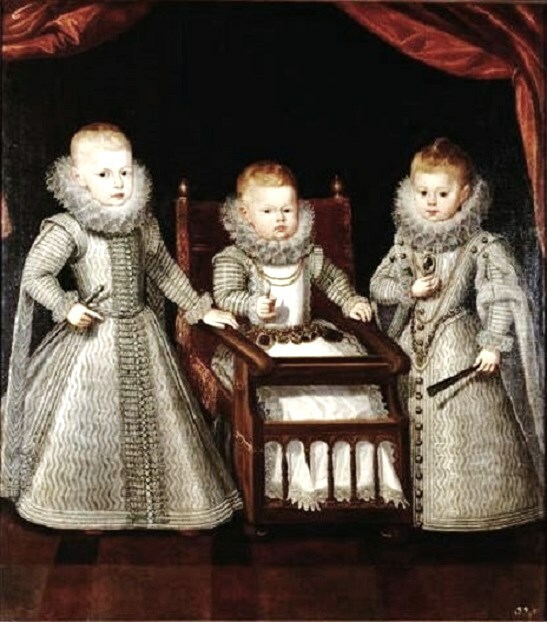 1602 Juan Pantoja de la Cruz (Spanish artist, 1553–1608) Infantin Anna (1601-1666) Ana Maria Mauricia Infanta, daughter of Philip III and Margaret of Austria, was the eldest of 8 children. 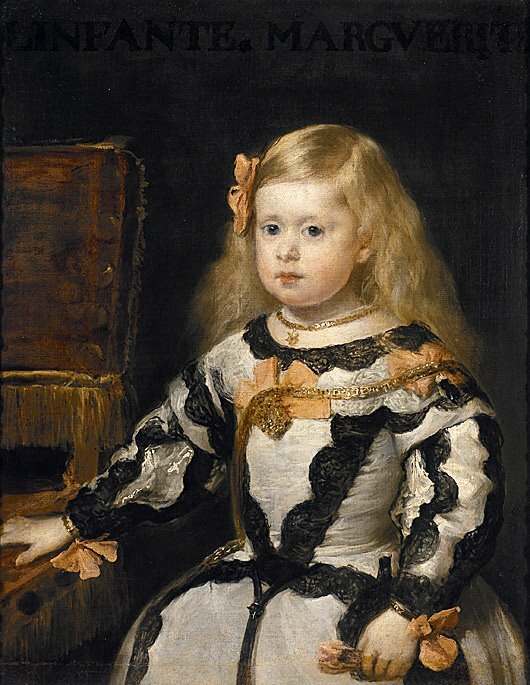 1653 Diego Rodriguez de Silva y Velazquez (Spanish painter, 1599-1660) Infanta Margarita. 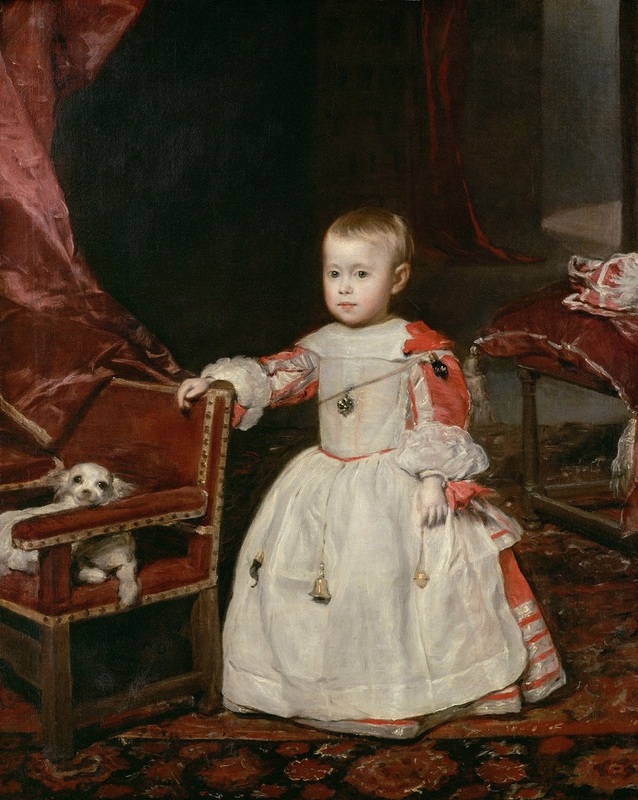 Diego Velázquez Recorded a nuanced, Even anxious, royal view of childhood In His paintings in Spain of the princes 17C & amp; princesses, children dressed as adults. 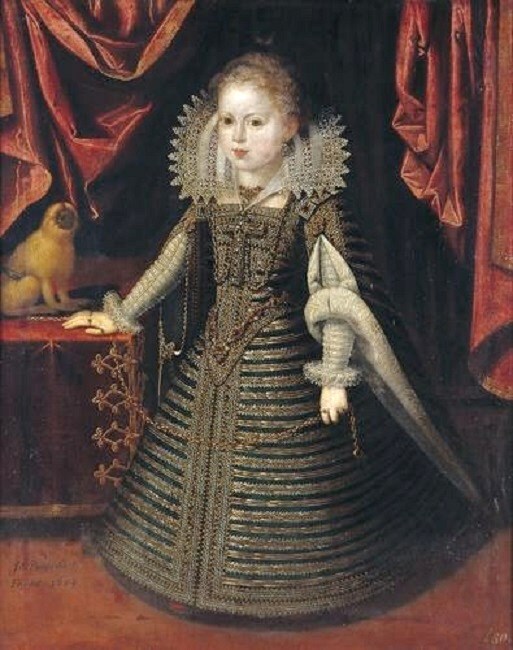 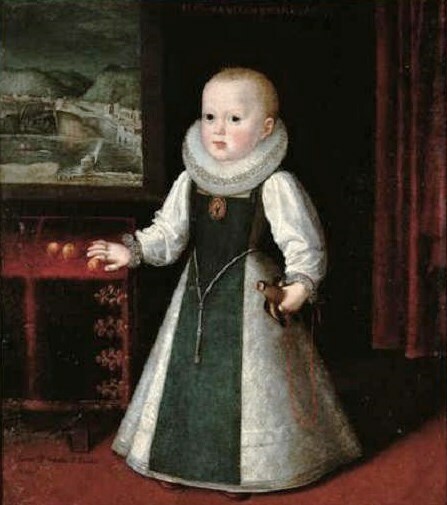 1654 Diego Rodriguez de Silva y Velazquez (Spanish painter, 1599-1660) Infanta Margarita. 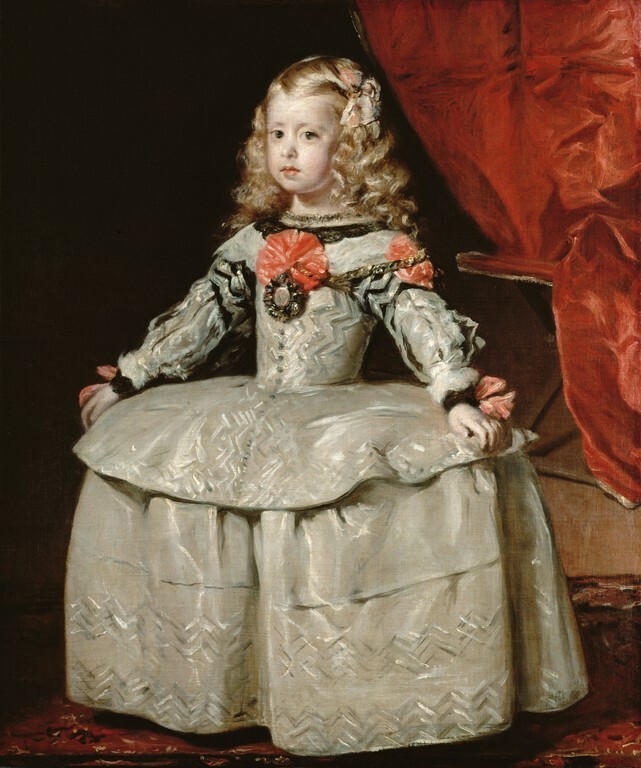 1656 Diego Rodriguez de Silva y Velazquez (Spanish painter, 1599-1660) Infanta Margarita. 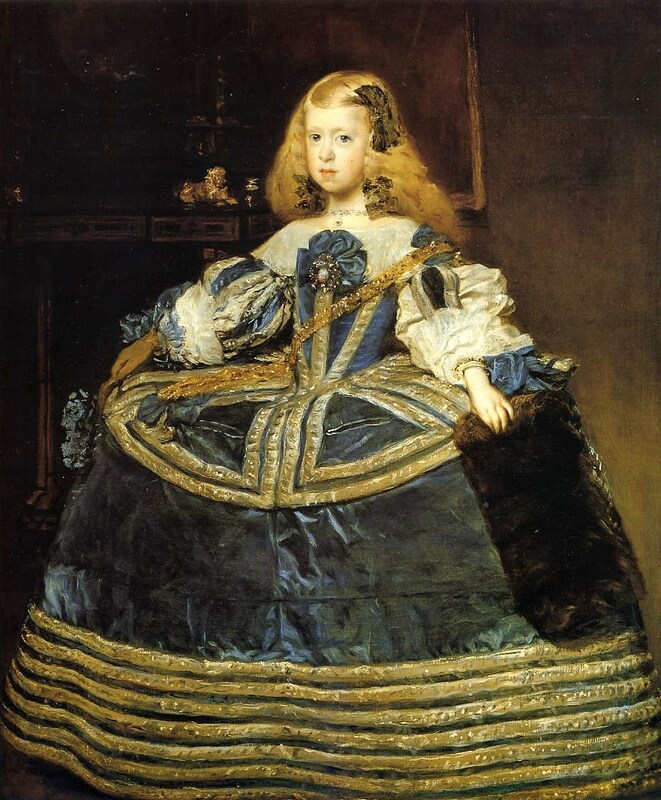 1659 Diego Rodriguez de Silva y Velazquez (Spanish painter, 1599-1660) Infanta Margarita in a Blue Dress. 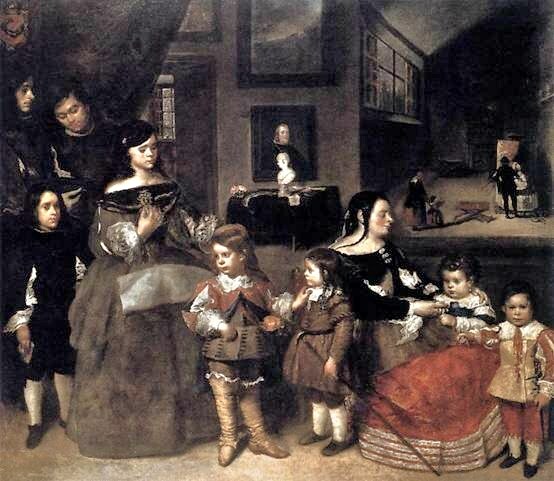 1656 Diego Rodriguez de Silva y Velazquez (Spanish painter, 1599-1660) Las Meninas or The Maids of Honor. 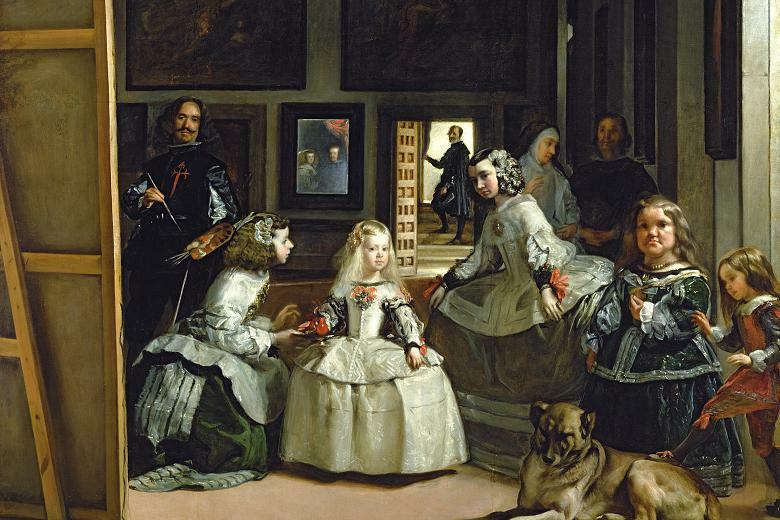 Detail In Las Meninas, the 5-year-old Infanta Margarita Teresa stands looking at us, Accompanied by her ladies in waiting (meninas) & amp; 2 dwarves, while works were Velázquez portrait of her parents, the King & amp; queen. 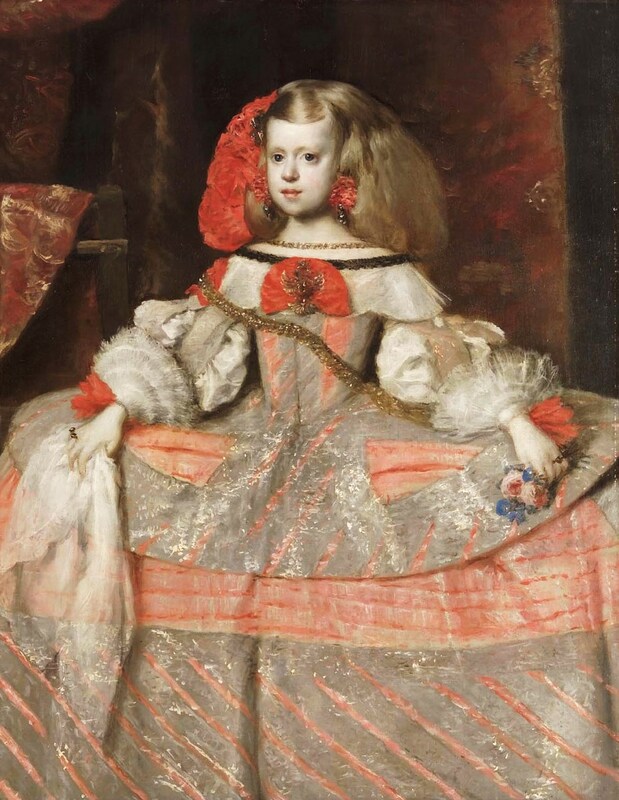 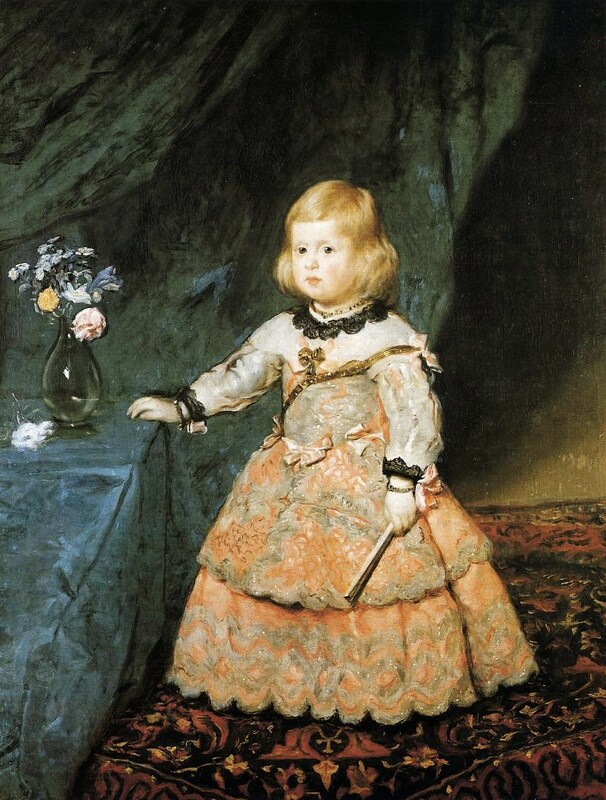 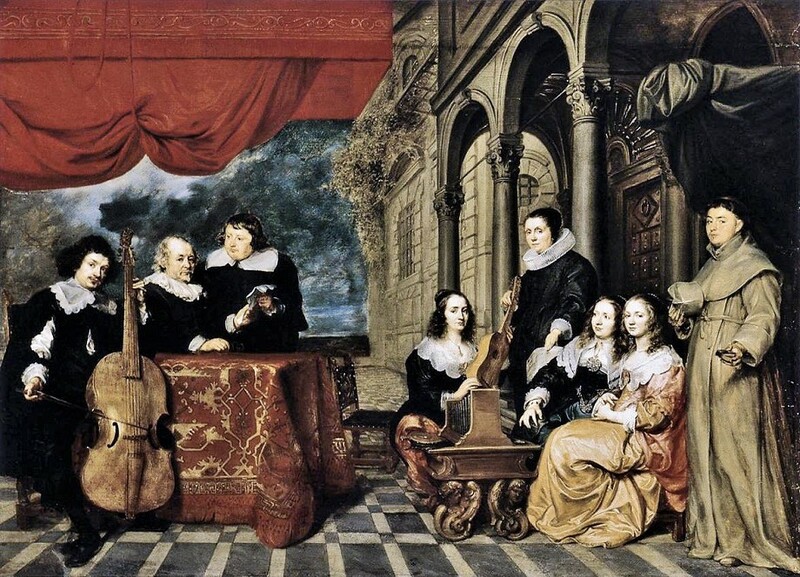 The Infanta is beautiful & amp; confidant, Attended by her own micro-short; goal as she looks out of the painting at her relatives (who are standing Where the spectator of the painting stands) she is performing. 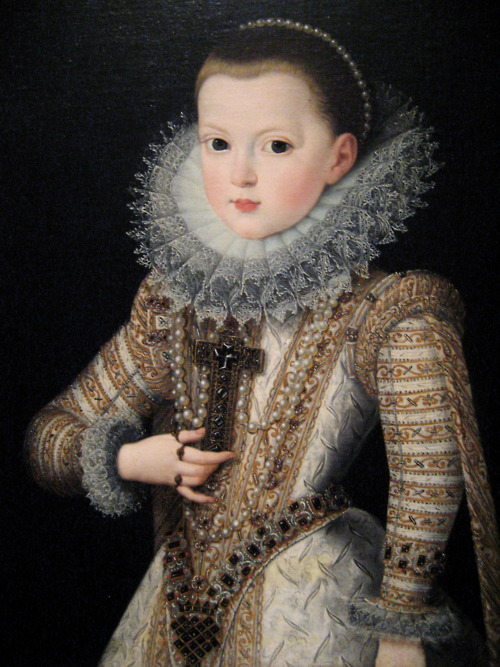 And she is under pressure to look & amp; act like an adult princess. 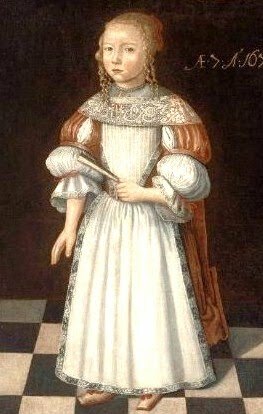 She Will never be a child. 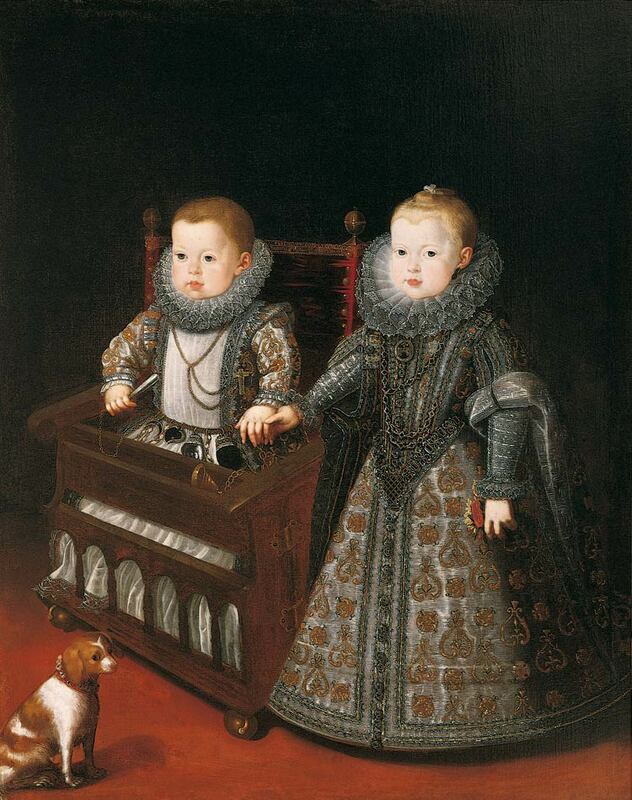 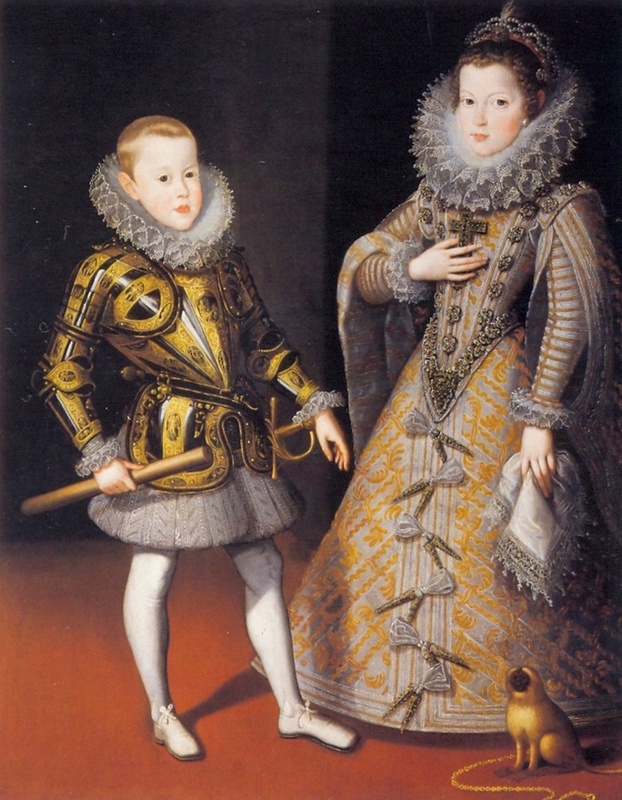 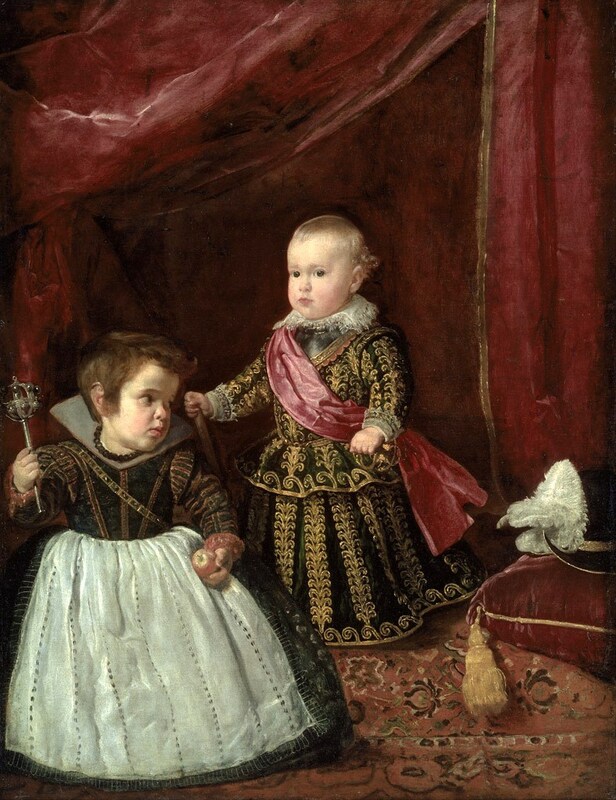 1631 Diego Rodriguez de Silva y Velazquez (Spanish painter, 1599-1660) Prince Balthasar Charles, Prince of Asturias with a Court Dwarf. 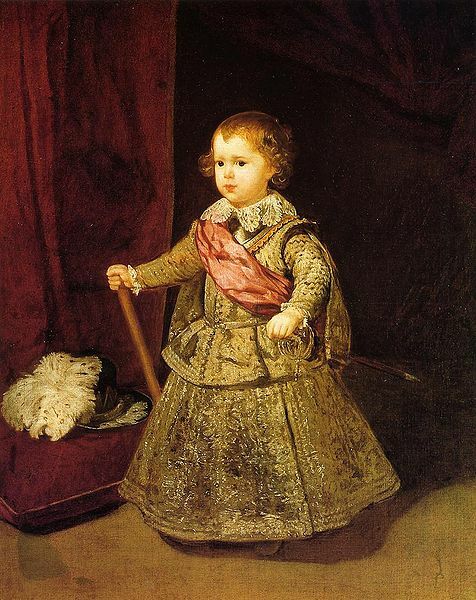 1659 Diego Rodriguez de Silva y Velazquez (Spanish painter, 1599-1660) Infante Philip Prosper, Prince of Asturias (1657-1661). 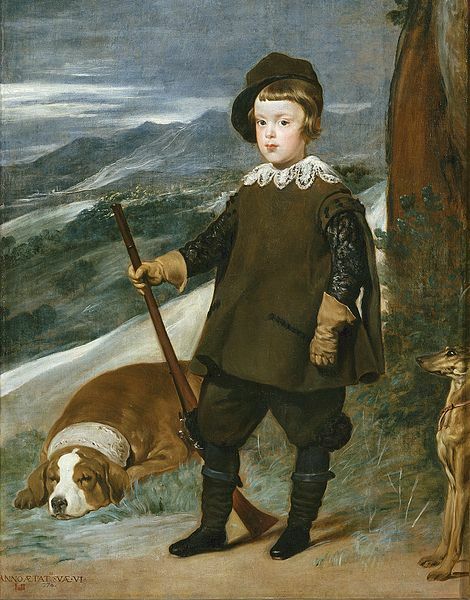 1635 Diego Rodriguez de Silva y Velazquez (Spanish painter, 1599-1660) Charles Prince Baltasar Carlos as a Hunter with, his dog. 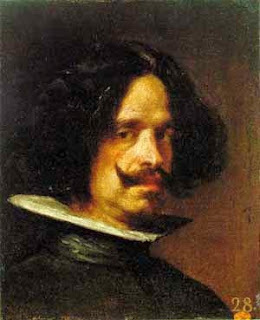 Velazquez, a precocious artistic genius, Got His start painting tavern scenes in His native town of Seville. 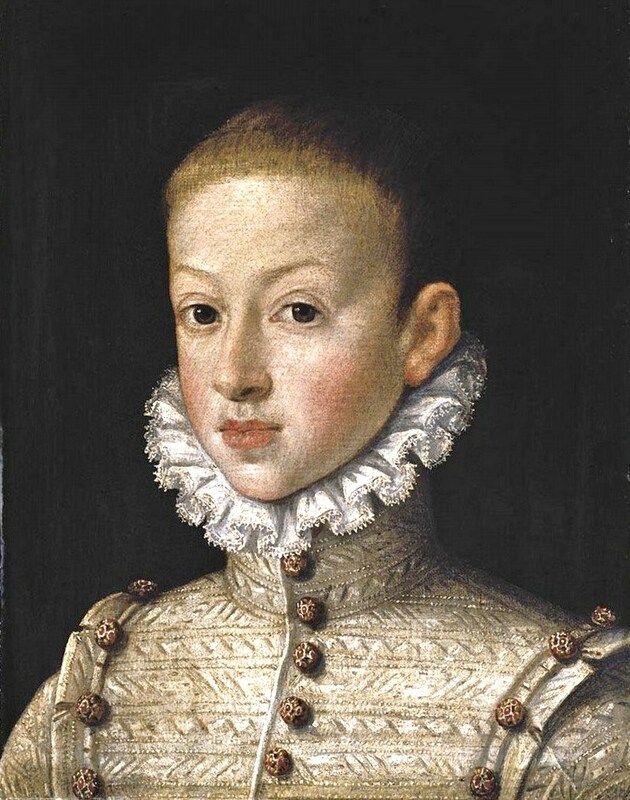 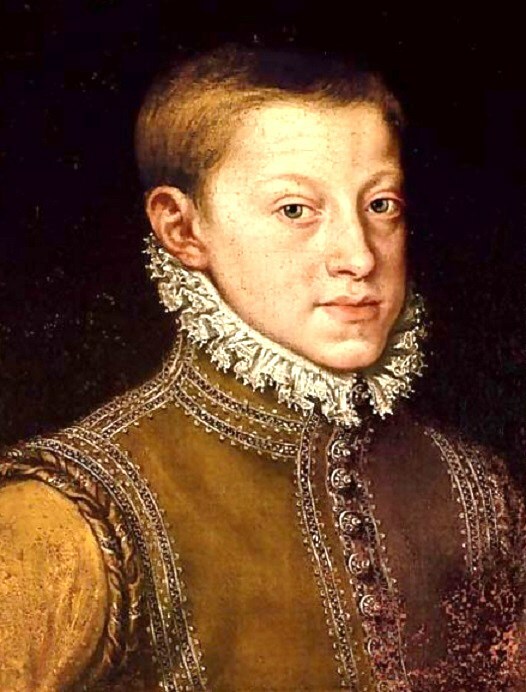 At age of 24, Philip IV Diego appointed as Spains's court painter, a position he Held for the rest de son life. 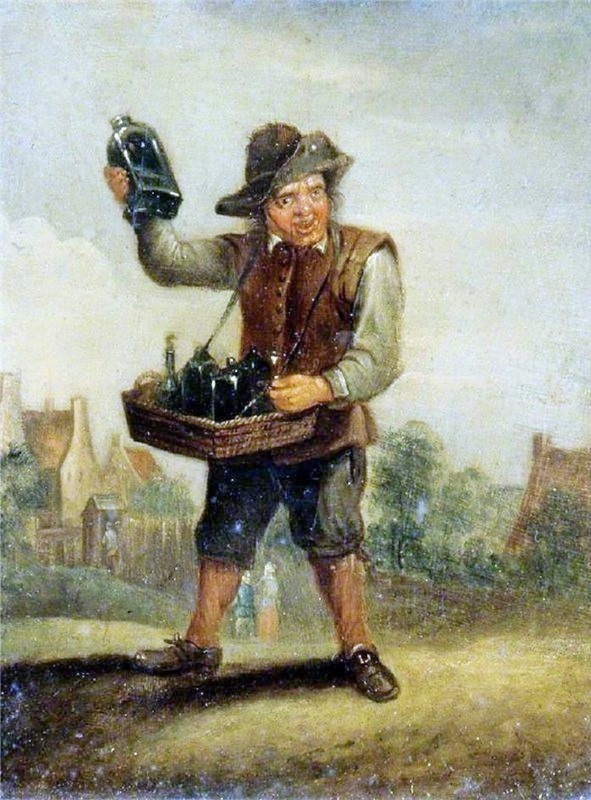 LONDON Printed by W Wilde for n. Bodington in Duck Lane; and J. Blare on London-Bridge. 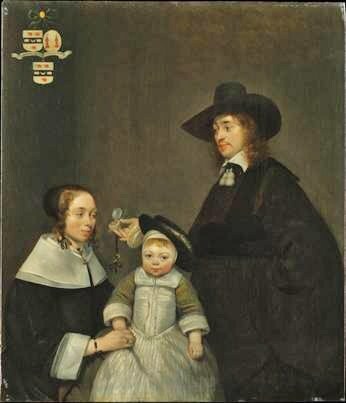 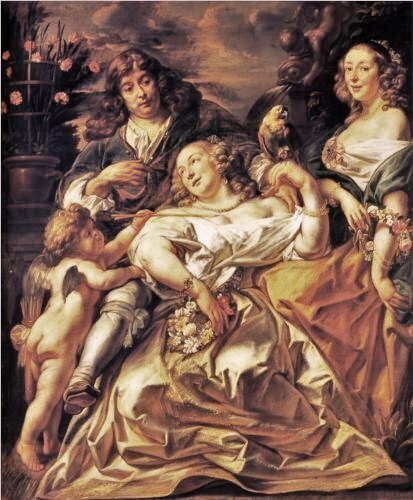 1696. Be sure your Tongue run not too fast, but in Discourse but moderate; Speak with deliberation, and weigh your Words before you utter them and where you are seated, observe you continue till you are called thence, or it is time to leave it. 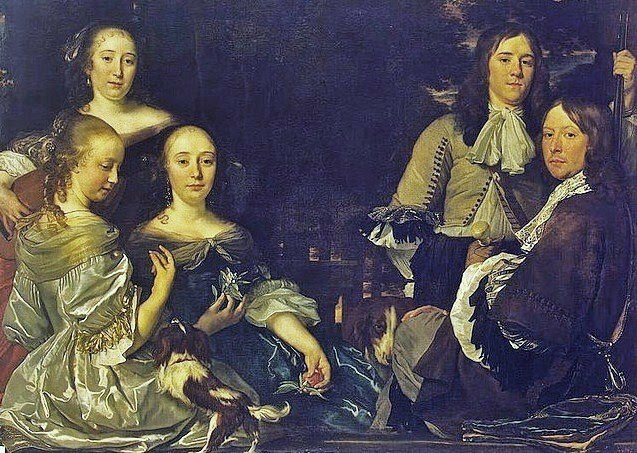 In reading upon any occasion, use not a Tone, but read distinctly, observing your Stops, that you may the better understand what you read. 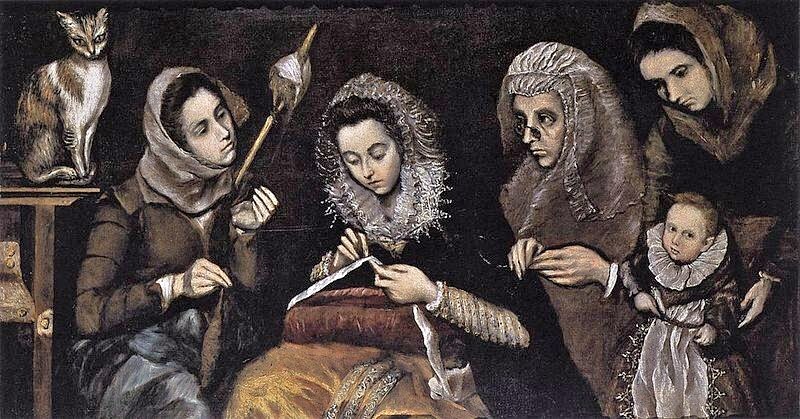 In Writing, beware that you blot not your Paper, but imitate your Copy in cutting your Letters fair and even; Let not your Work, of any sort, be soiled or dirty, and keep what things you use in good order, and render your Parents an Account of your improvement. When you are to be at Meet, be not out of the way, but attend the Grace, and then take the place that is appointed you: After having done your Reverence, see your Napkin be fastned about you to save your cloaths, and thankfully take what is given without craving; nor is it seemly for you to speak at the Table, unless you are asked a question, or them. 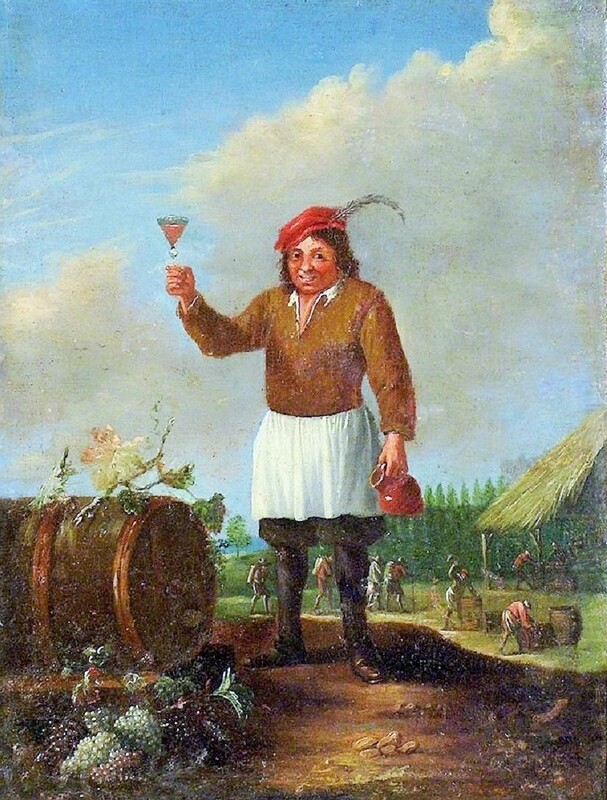 Be some great occasion. 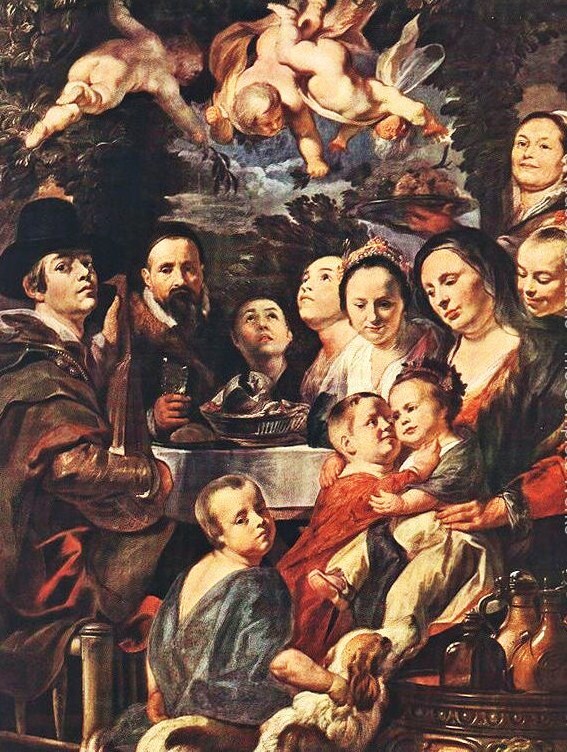 Cut your Meat handsomely, and be not over desirous of Sawce, nor of another sort of Meat, before you have dispensed of what is on your Plate. 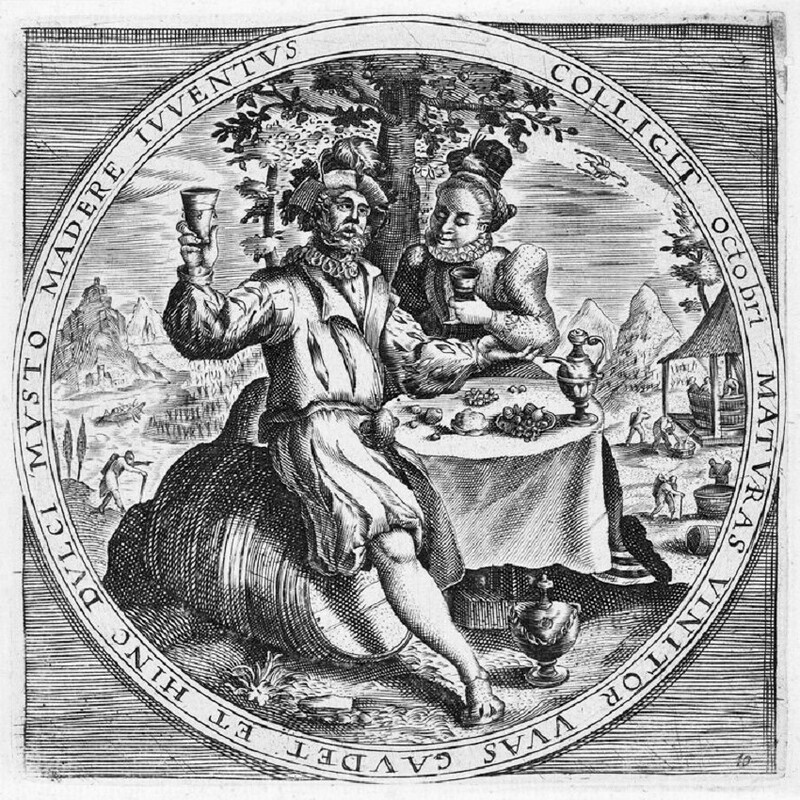 Put not both your Hands to your Month [sic] at once, nor eat too greedily: Let not your Mouth or Fingers be greasie, no more than need must; and when you are satisfied, take your Plate Or Trencher with you, or give it to those that wait, and retire, but not out of the Room till Grace is said and the Cloth taken away; at what time making your Obeisance, you may depart, unless you are desired to stay: Nor must you sit before your Parents, Governess or Superiours, unrequired, unless at your Meat, Needle, Writing, or the like; and observe. 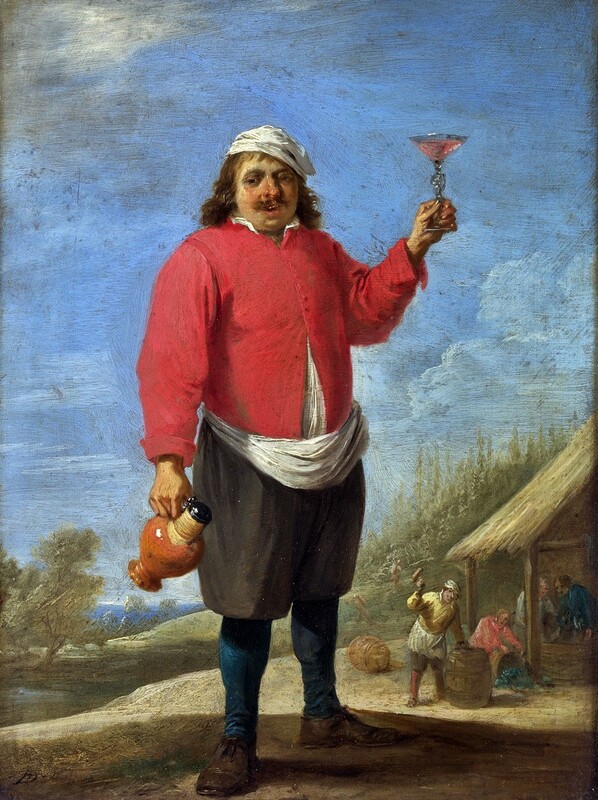 you attempt not to drink in any company till you have emptied your Mouth; and that you breath nor, nor blubber in the Cup or Pot. 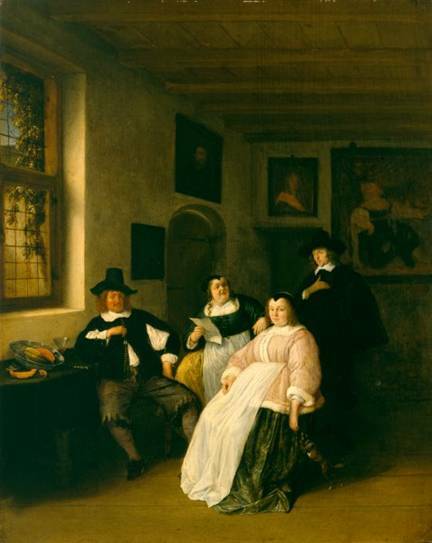 As for your Recreation, when leisure hours permit, let it be innocent and moderate, never staying late abroad, above all, be Wary in the choice of your Companions and so you grow up, shun the Conversation of those that have a report of Lightness, lest they draw you into a snare, or bring a scandal causelesly upon your good Name, but chuse those whose Reputations are candid; Converse with those who are modest yet of affable; Stay not at any time, where the least occasion of Lightness and Wantonness is administred; nor lend your Ear to Discourse tending to Lewdness. 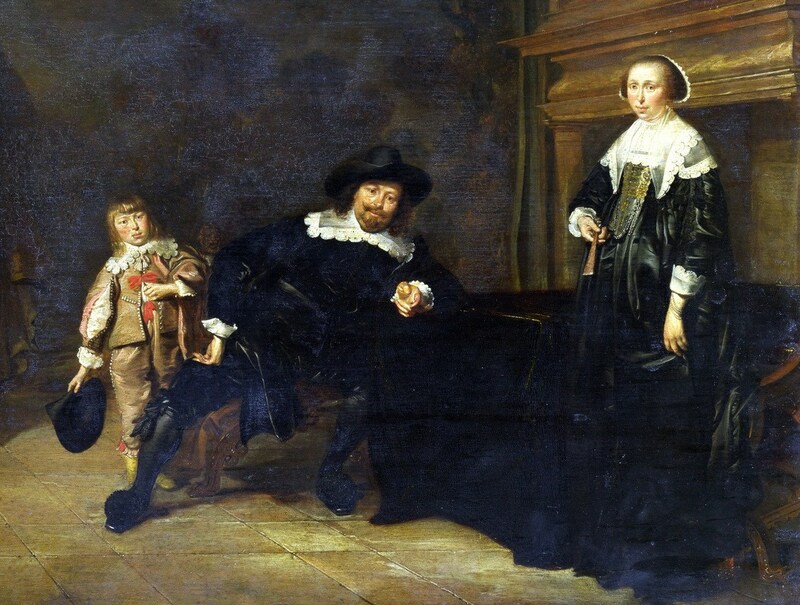 For your Carriage, in the general, let it be a Medium,, not expressing too much reservedness, which by some, is interpreted Pride; nor too much Freedom on Familiarity, which, on the other hand, will be looked upon for Fondness. 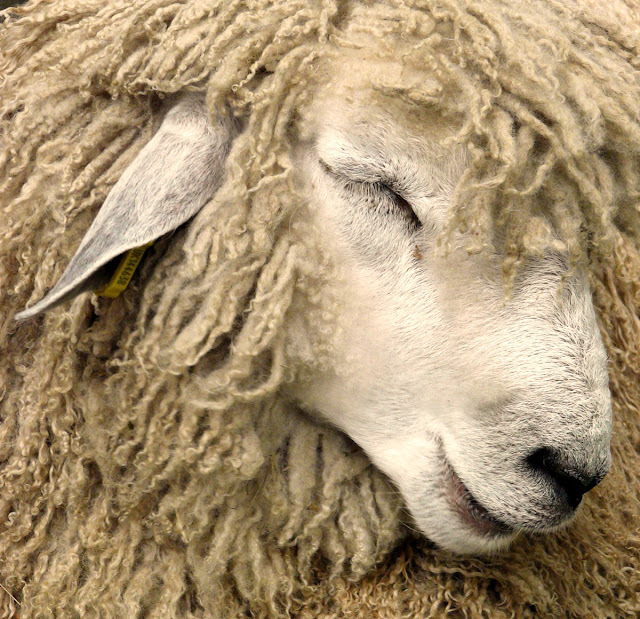 Be no Makebate between your. 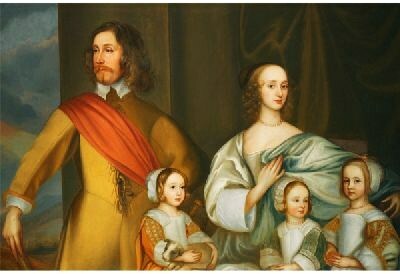 Parents and their Servants; nor at any time tell a Lye to excuse a Fault, to keep you from the hand of Correction. 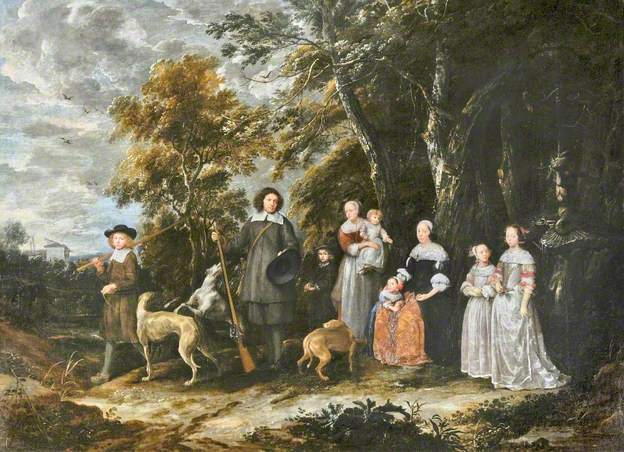 Go to Bed in due Season, without any Noise, and never be seen in unseemly Laughter; nor in pointing, or nodding, especially in Company or in places of Divine Worship: Honour Age, and pity those that are distressed; Speak not at any time scornfully, or in a taunting way, but be courteous to all; and in so doing you will gain a good Repute. 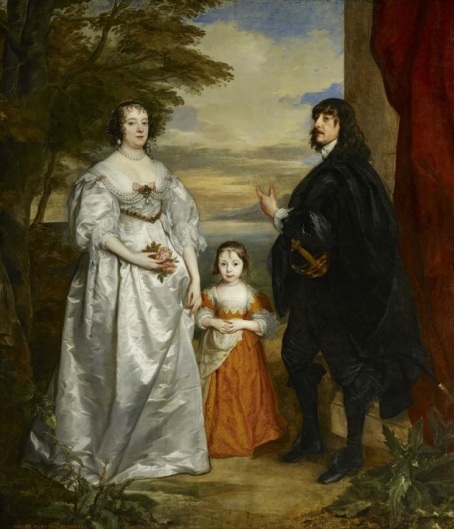 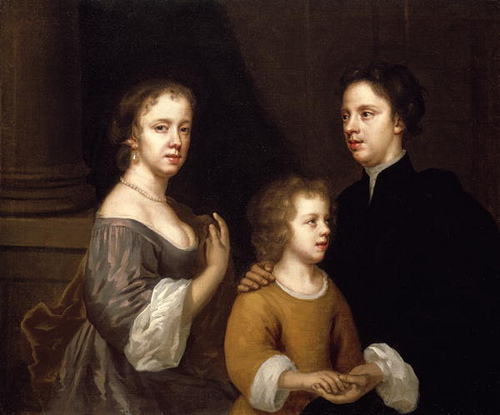 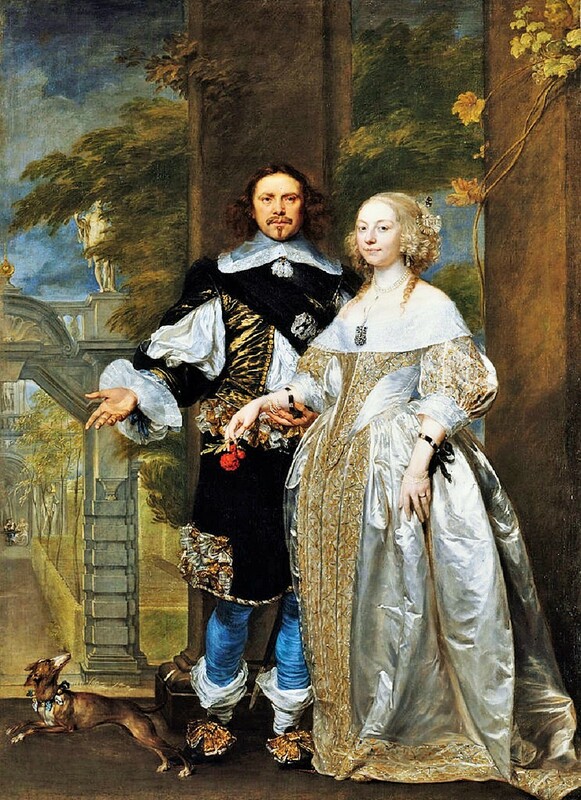 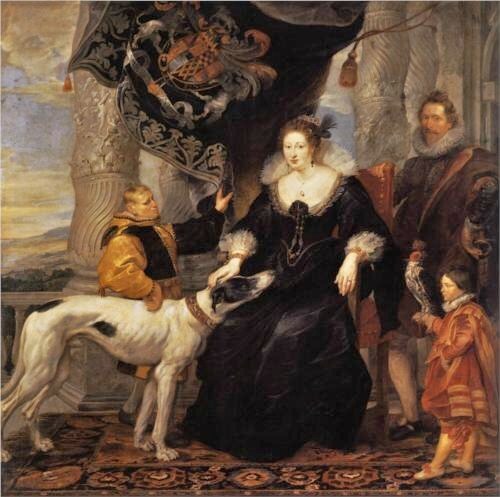 1659-60 Mary Beale (née Cradock) (26 March 1633 - 1699) was an English portrait painter.with husband and son both named Charles. 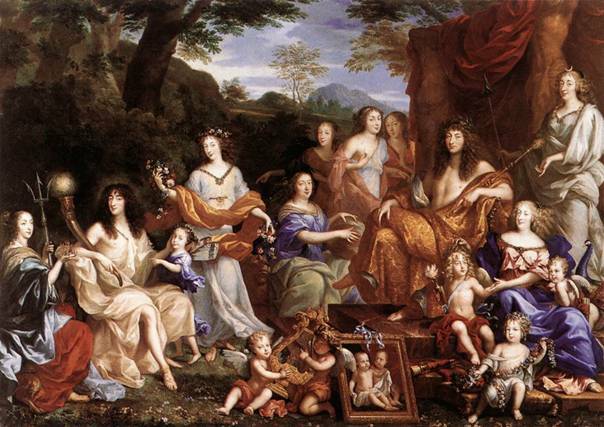 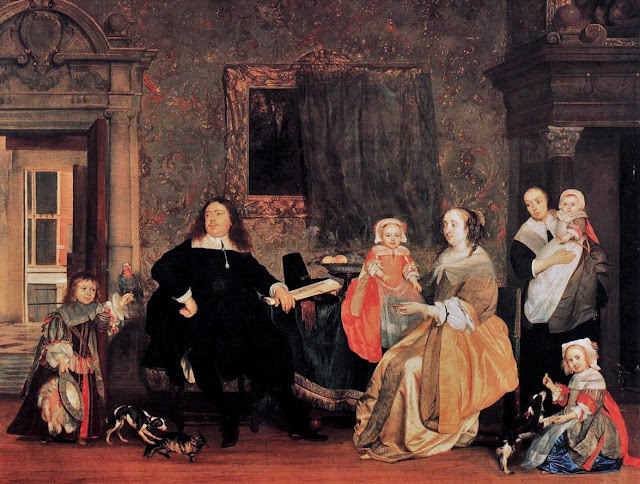 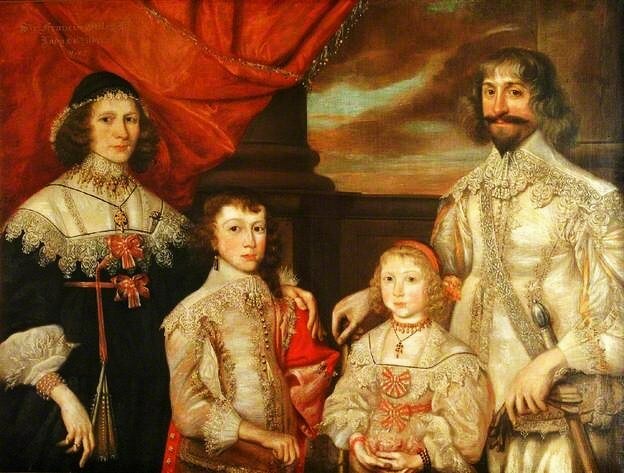 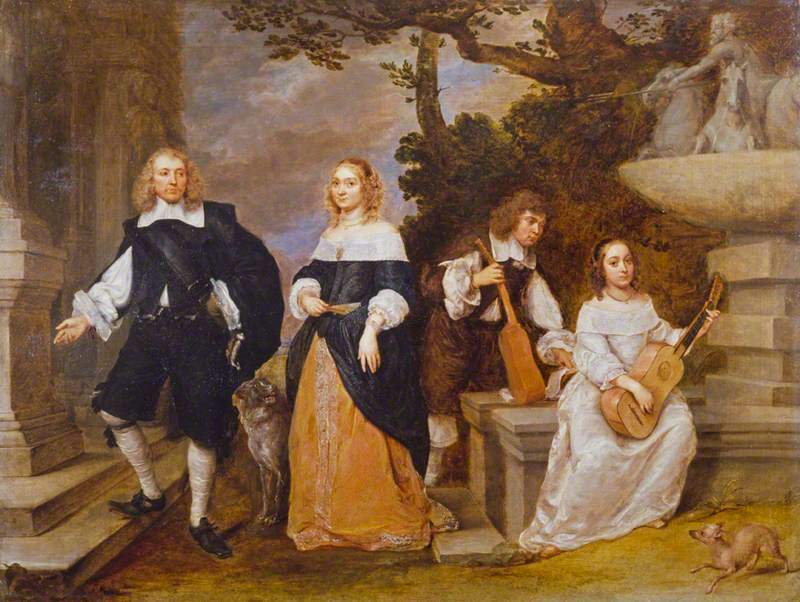 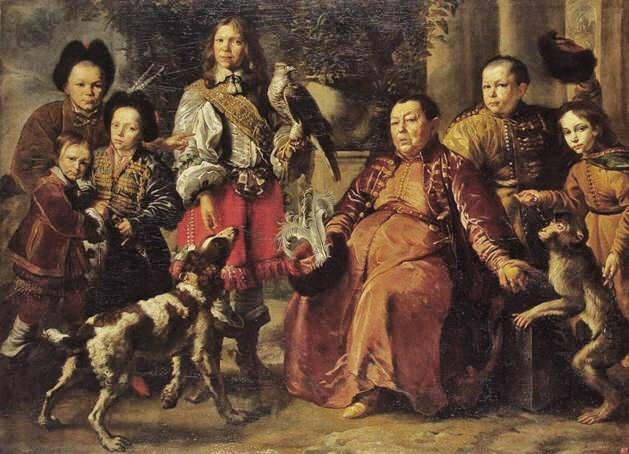 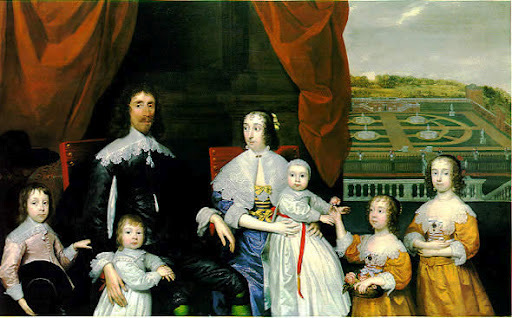 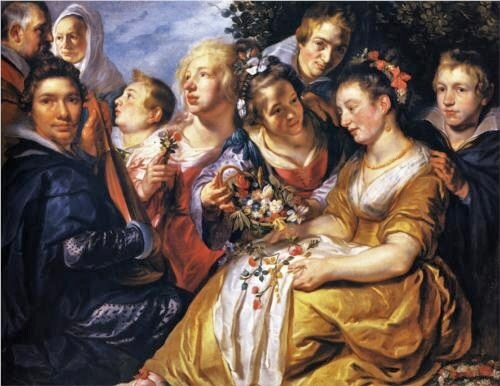 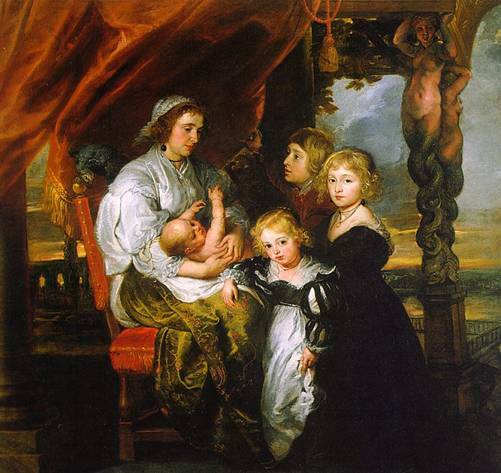 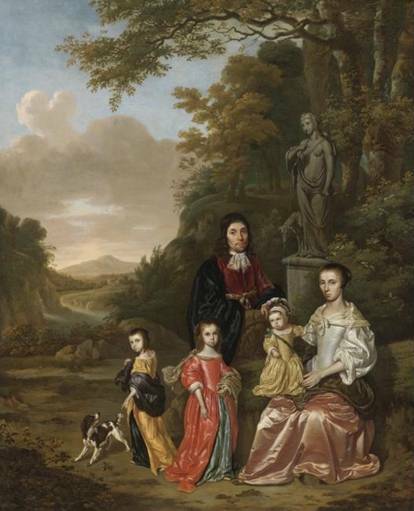 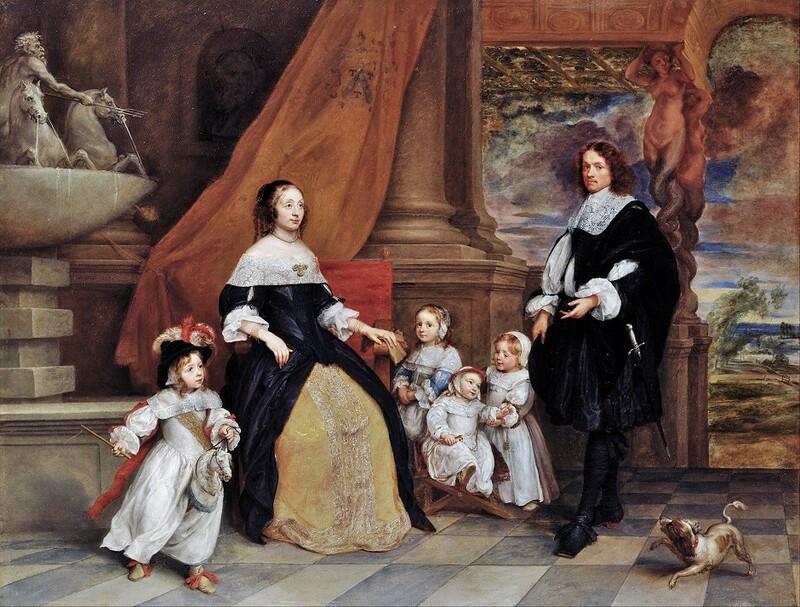 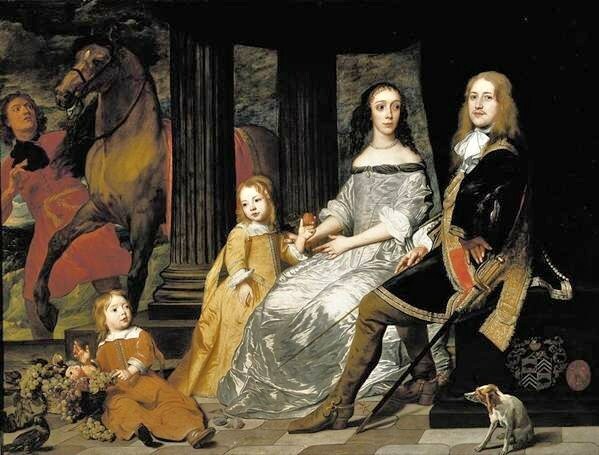 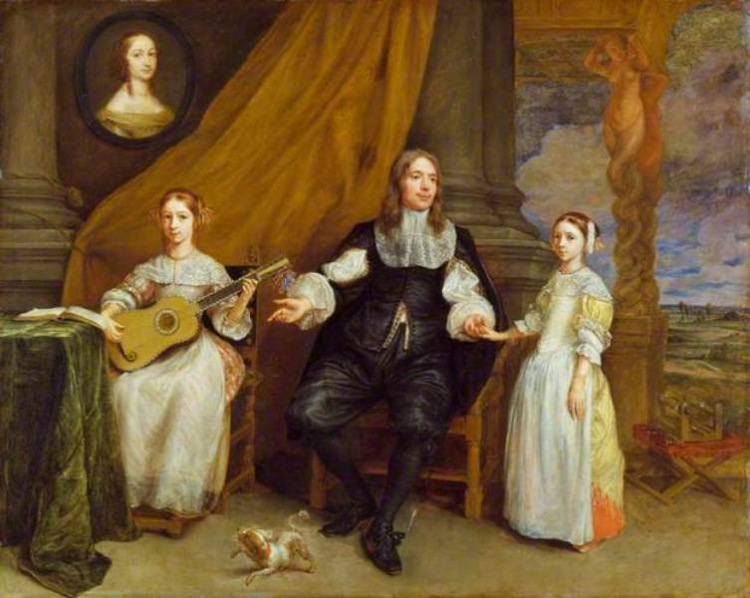 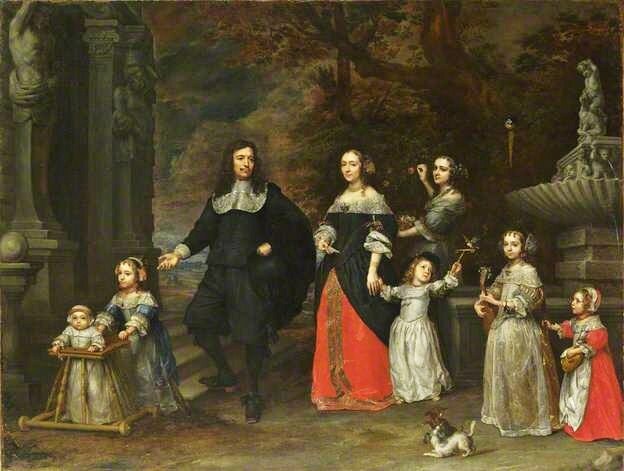 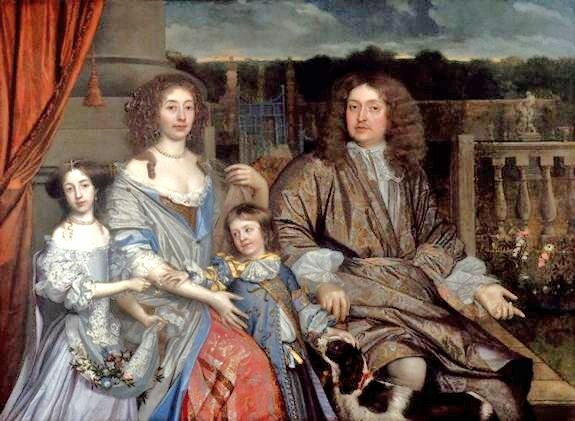 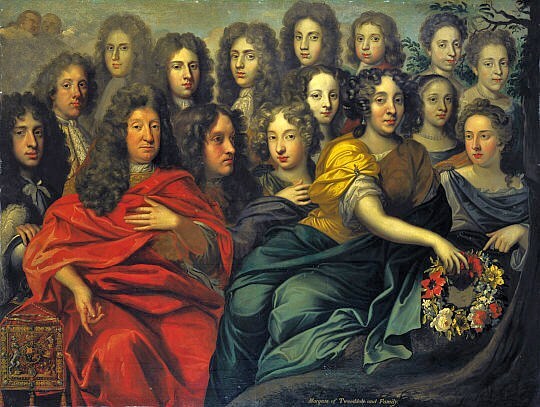 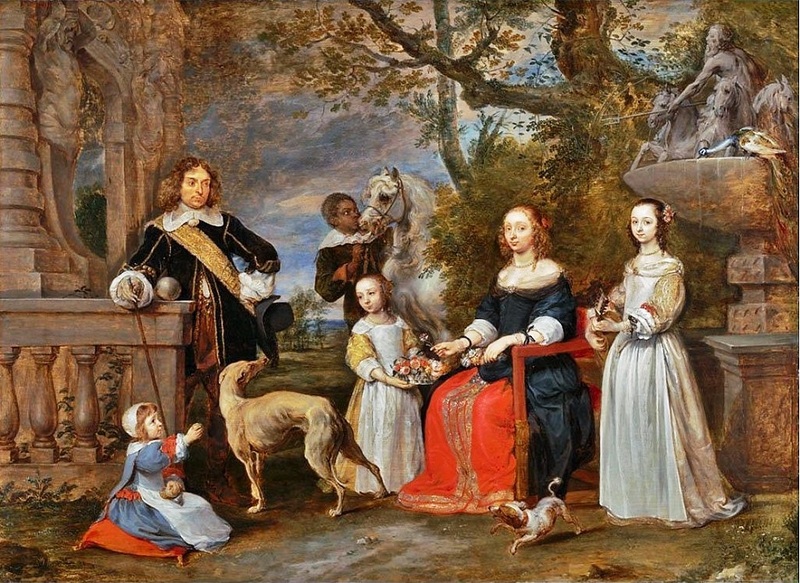 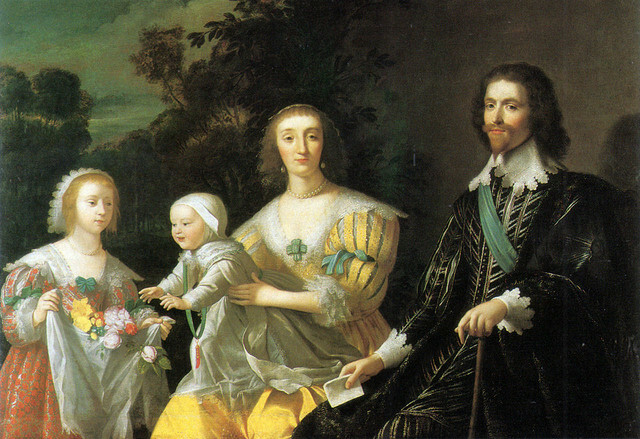 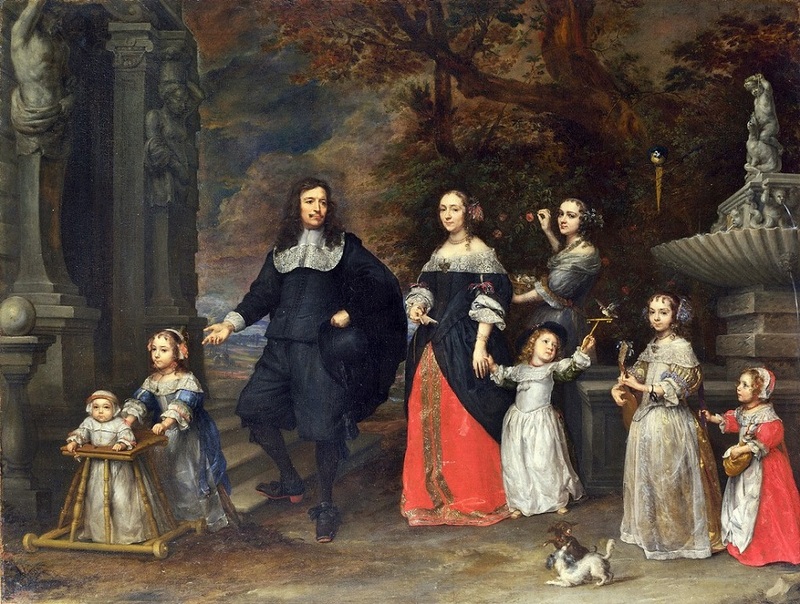 1695 John Baptist de Medina (Southern Netherlandish-English painter, 1660-1710) John Hay, 1st Marquess of Tweeddale (1625-1697), posing with his wife Jane & children & children's spouses.